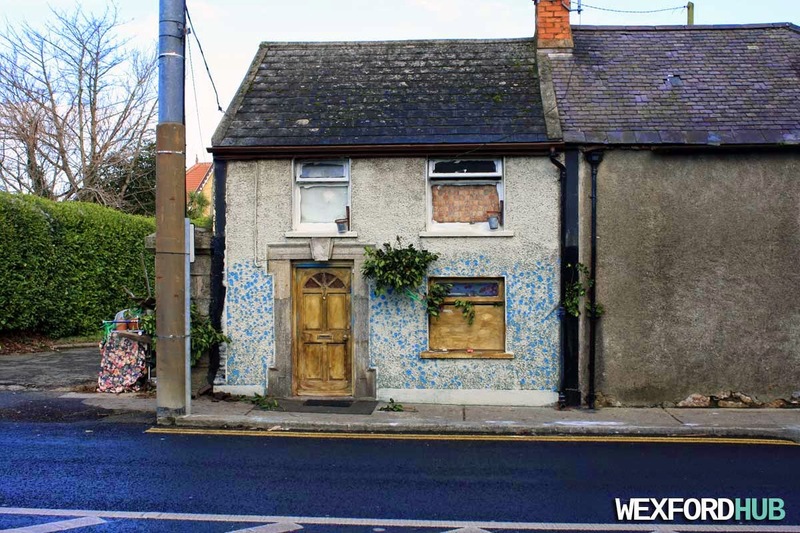 A photograph of an old and peculiar-looking house at the bottom of Hill Street in Wexford (on Spawell Road). When I took this (28 December 2014), the house was half-painted and it looked at though the owner had decided to paint blue dots onto it. 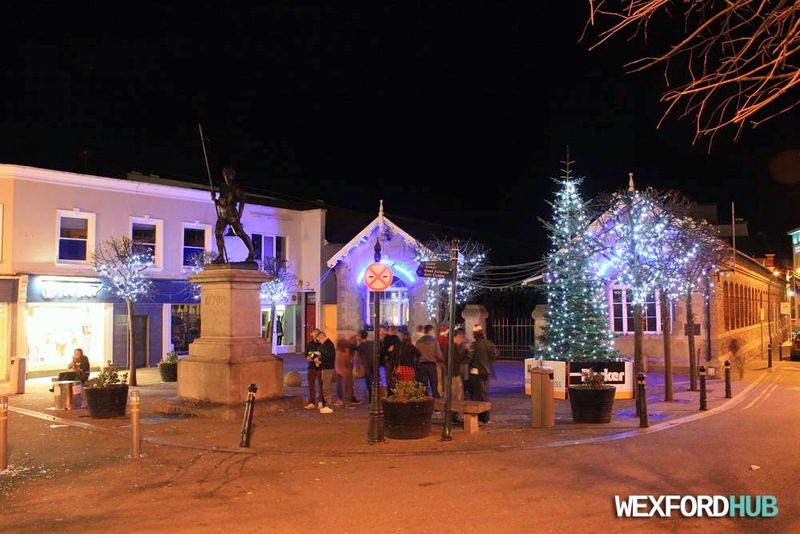 Photographs of Wexford during the "12 Pubs of Christmas" night on Saturday, the 20th of December, 2014. As you can see, the town was extremely busy and litter was at a much higher level than what it usually is. 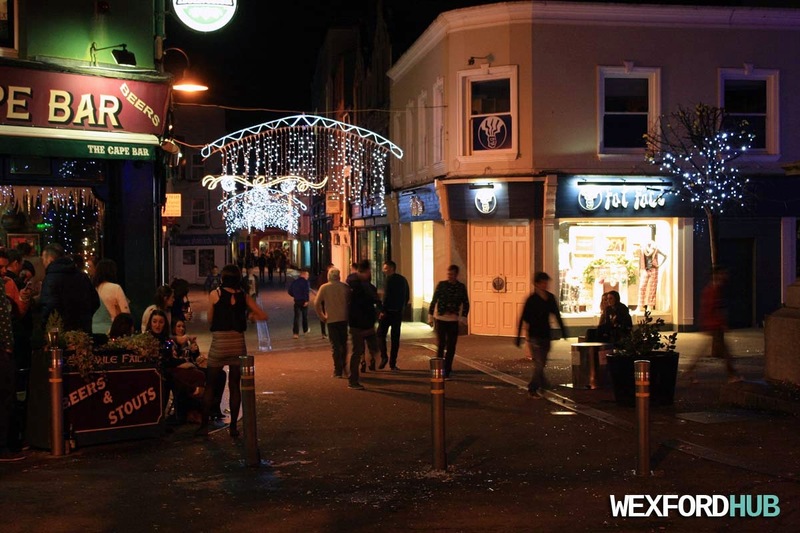 That night, there were a number of arrests for public order offences (remember, this is when staff parties are in full swing and people are drinking more than what they can handle, simply because the name of the game is to visit 12 pubs and have a drink in each one of them). Another shot of the Bullring and it's Christmas tree. 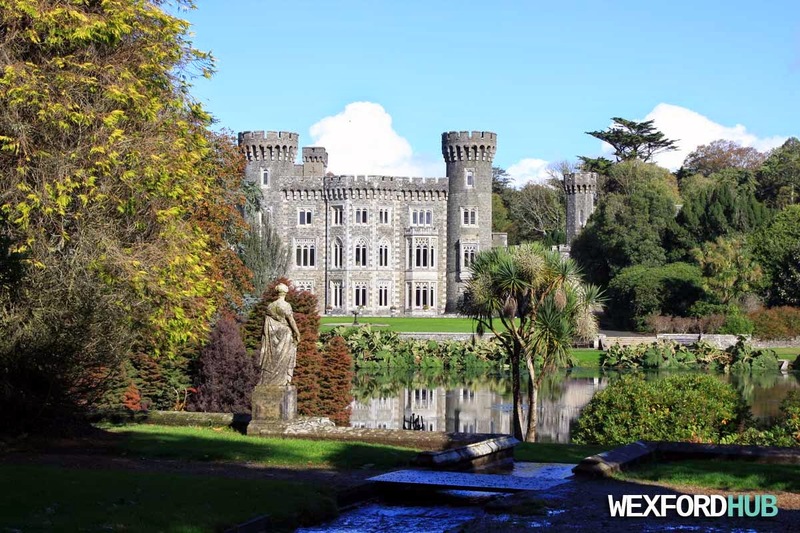 A photograph of Johnstown Castle, which is in the Rathaspeck area of Wexford. This iconic structure was built back in the 19th century. As you can see, it is surrounded by beautiful gardens, stone statues and lakes. This shot was taken back in the early stages of Autumn in 2014. 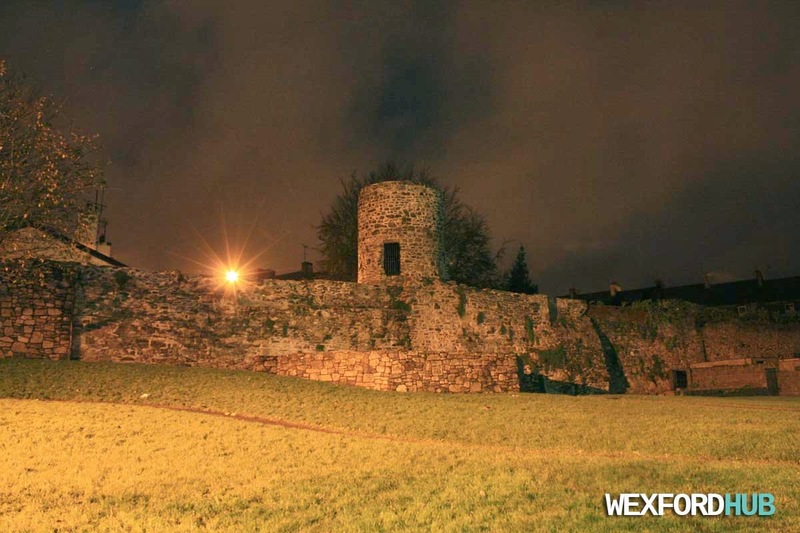 A photograph of Wexford's medieval town wall. This is a shot of the wall tower that overlooks Abbey Street, next to the Arts Centre. This was built by the Normans after they occupied the town back in the 1100s. 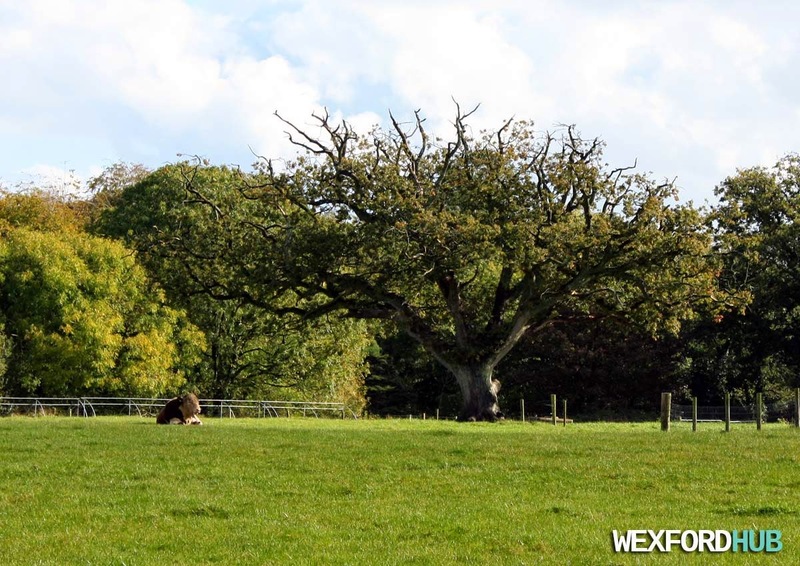 A photograph of a lone bull lounging around in a field inside the grounds of Johnstown Castle, Wexford. Taken in Autumn of 2014. 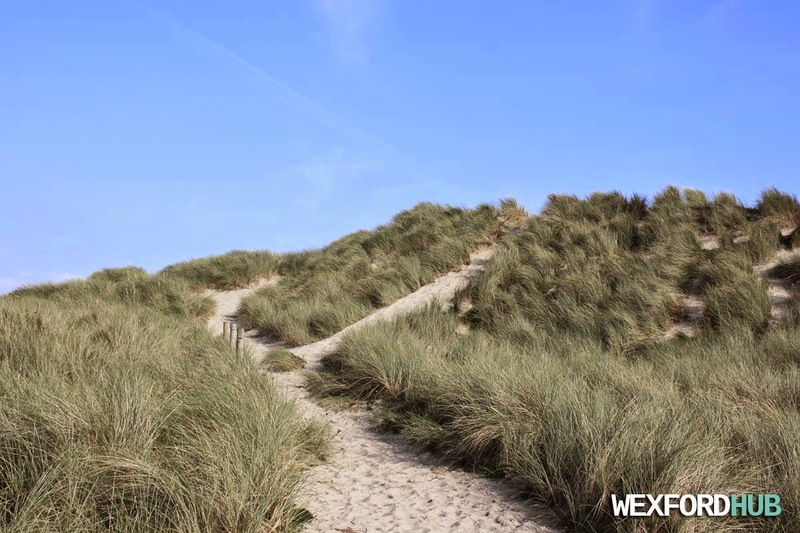 A photograph of the marram grass that covers the sand dunes of Curracloe Beach. The pathway ahead leads directly to the beach. This was taken during the autumn season of 2014.